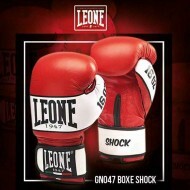 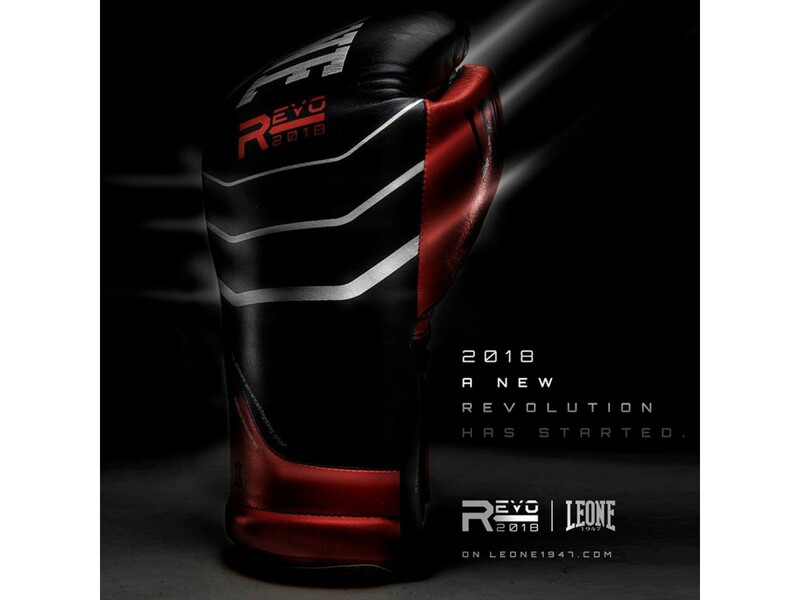 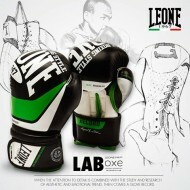 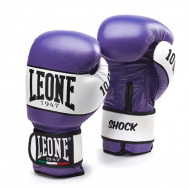 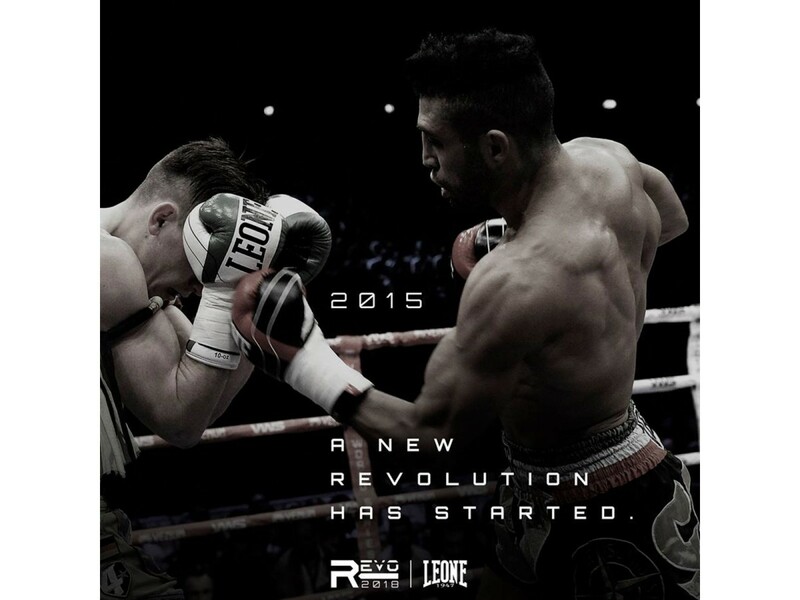 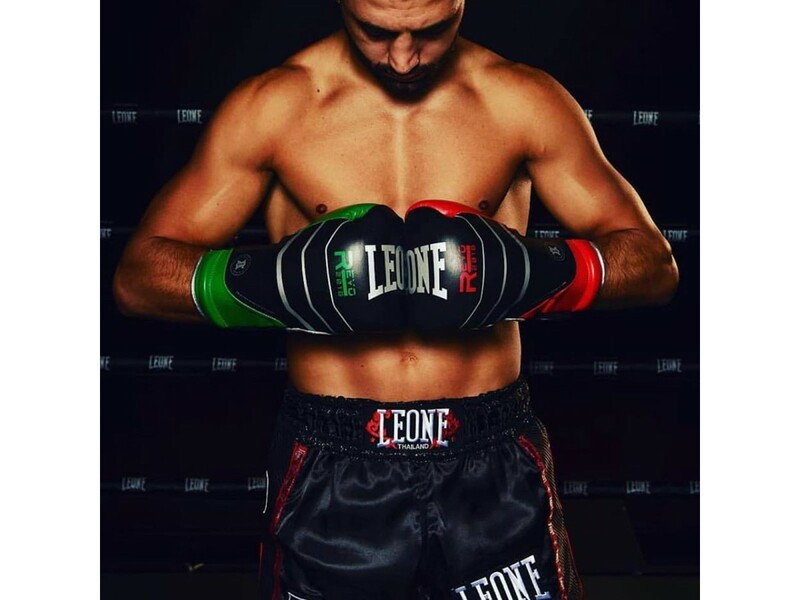 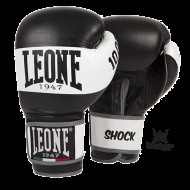 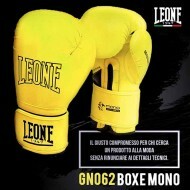 Those who know the history of Leone1947 are aware that Revolution means innovation. 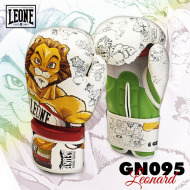 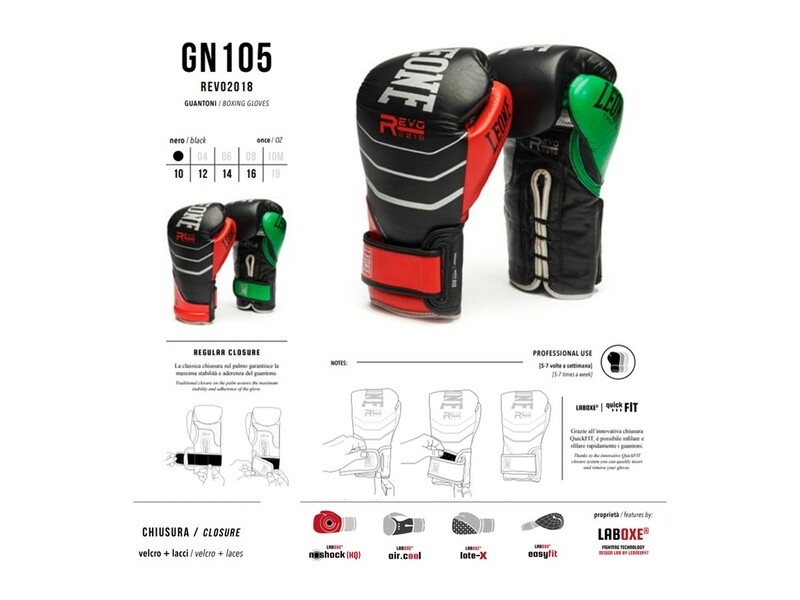 The new GN105 carry on research and development in the sector, being the first Leone gloves with integral multi-layer from hand’s back to wrist. 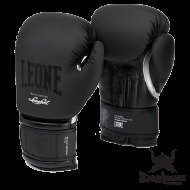 This particular padding structure allows to have the same impact response along the entire dorsal surface of the glove. 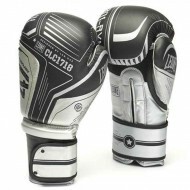 By buying this product you can collect up to 82 loyalty points. 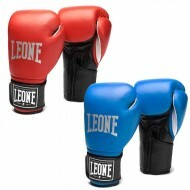 Your cart will total 82 points that can be converted into a voucher of $ 5. 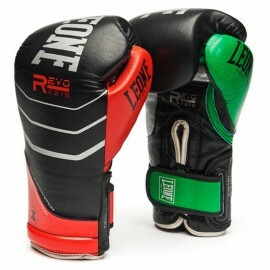 The single piece also effectively prevents possible wrist sprains. 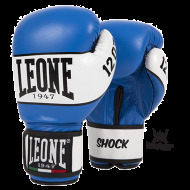 Another great innovation is the double locking system: not only you can close the gloves by the classic velcro, but you can also try the innovative “Quick Fit” closure. 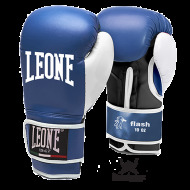 In this configuration the elastic laces are used to insert and remove the glove very quickly. 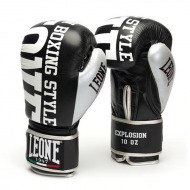 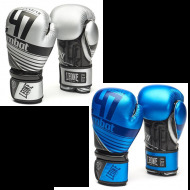 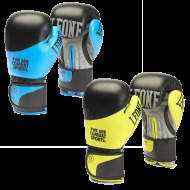 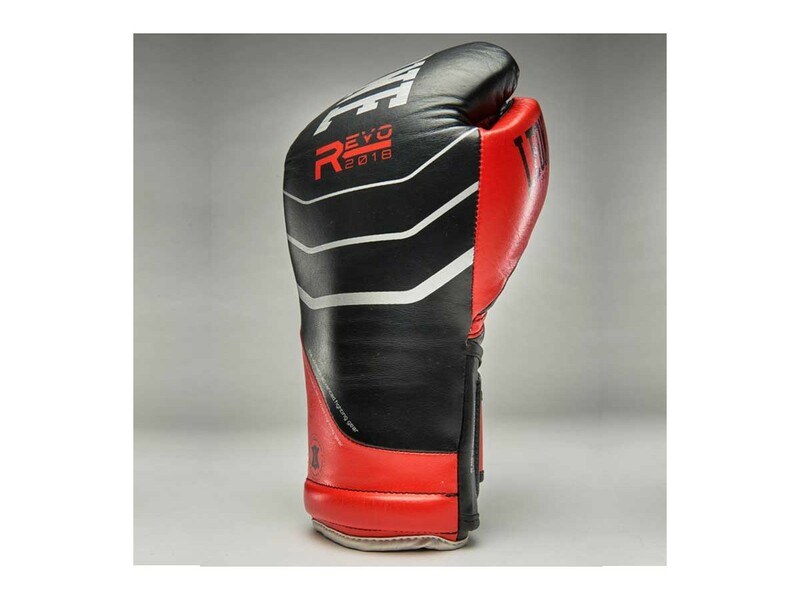 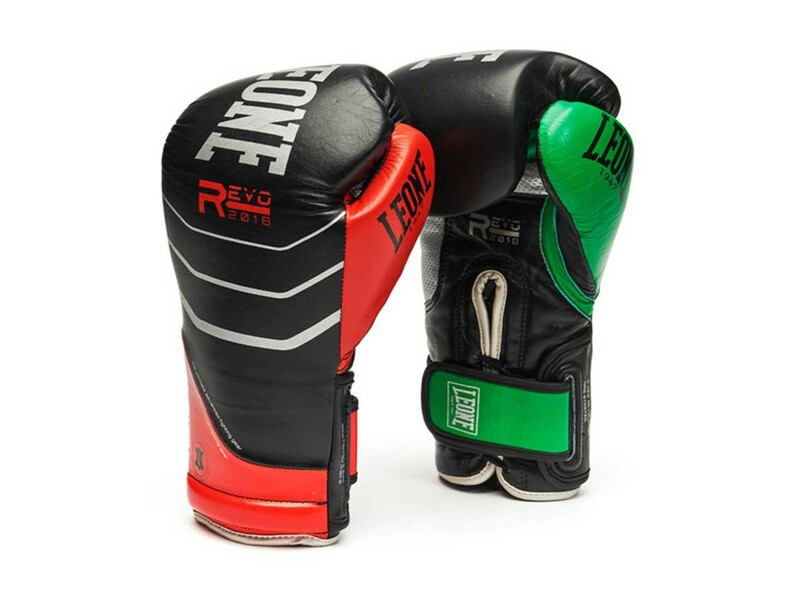 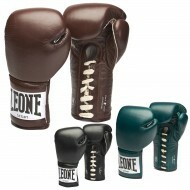 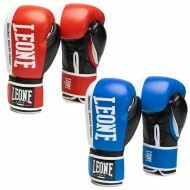 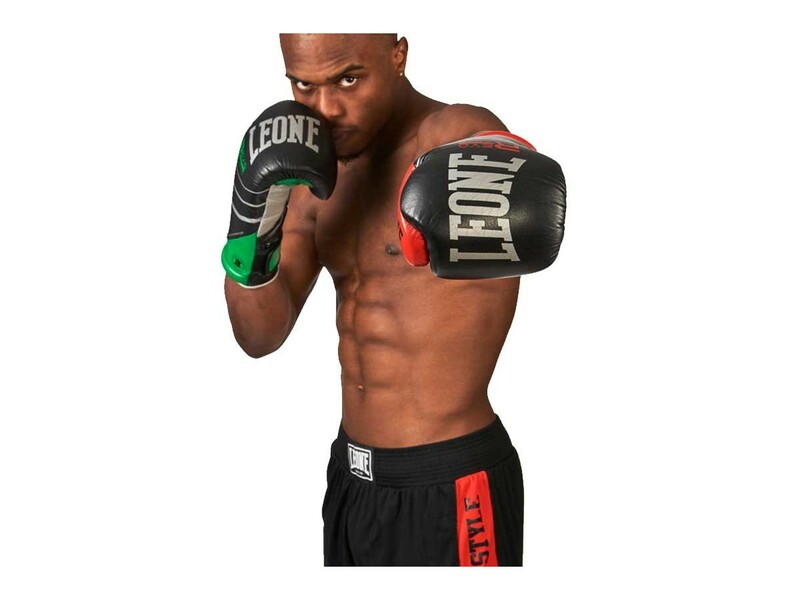 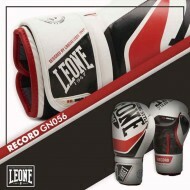 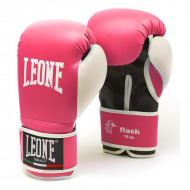 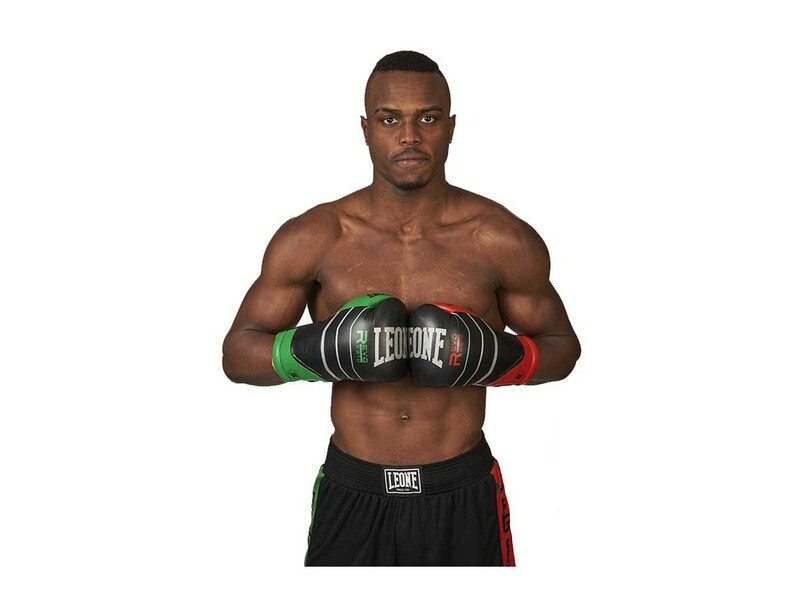 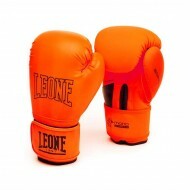 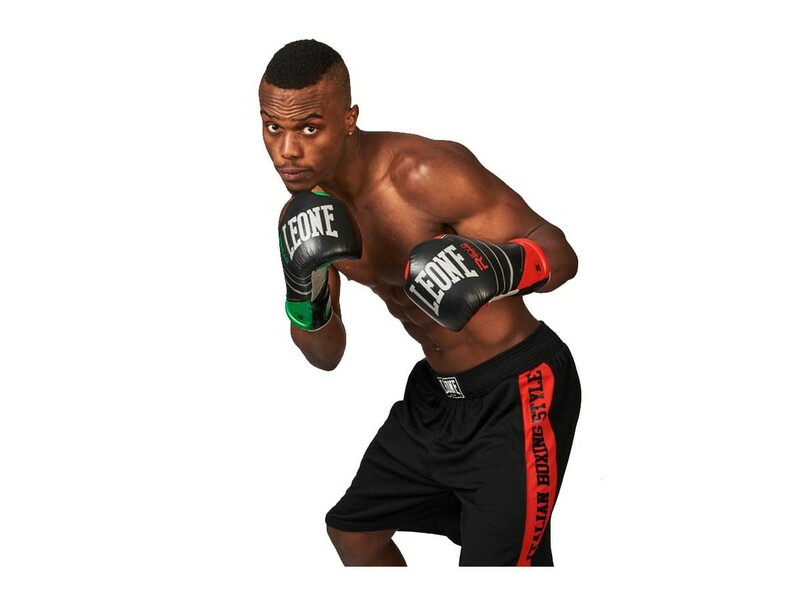 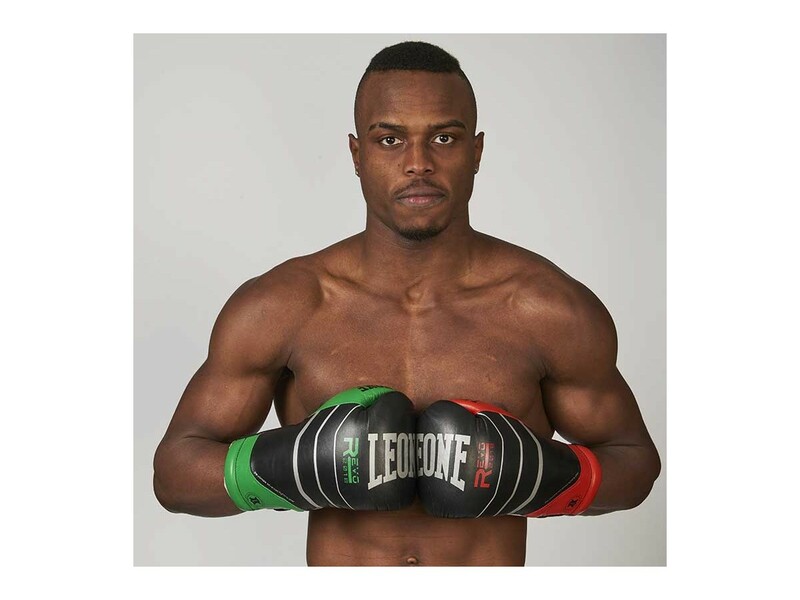 Perfect for workouts that alternate circuits and functional training with quick bag work and sparring. 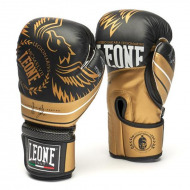 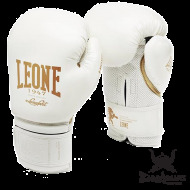 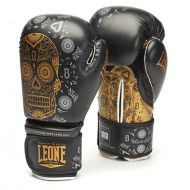 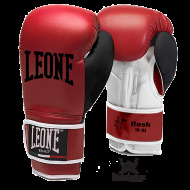 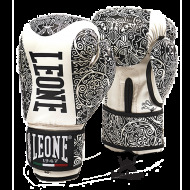 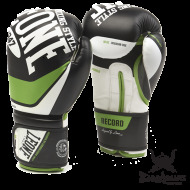 The Top Quality buffalo leather gives these gloves excellent resistance and comfort, while the perforated palm with padded lining allows a constant transpiration of the hand.